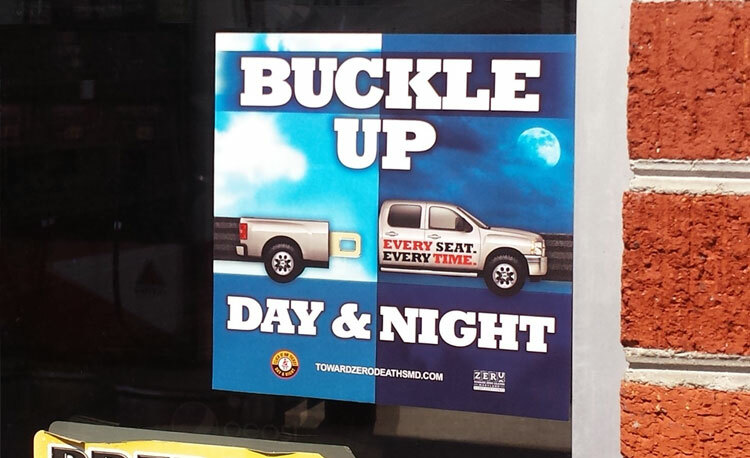 AllOver Media has worked with Maryland Department of Transportation on a variety of public safety campaigns. We helped increase awareness for initiatives that help reduce the risk for accidents, and affect outcomes by influencing people to make safer choices while driving. Reaching drivers while they were on the road and at gas stations filling the tank was a critical part of changing behavior when driving was top of mind. We worked with Maryland DOT to identify and target messaging efficiently to areas that would have the greatest impact on safety. The key tactic used in each campaign was gas pump advertising. 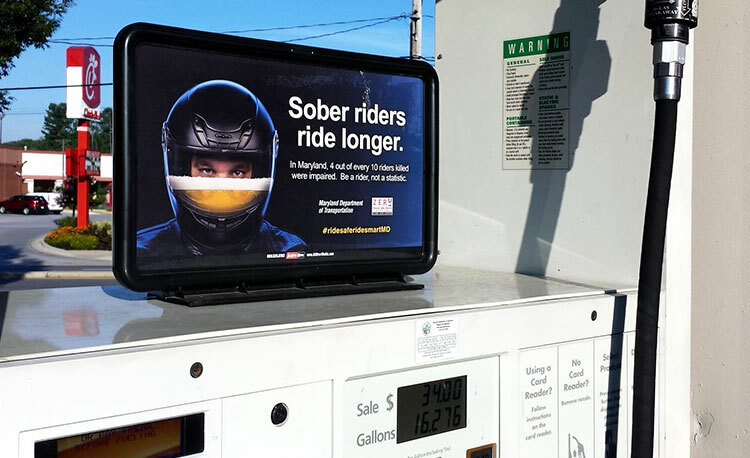 These ads are located on top of gas pumps and can’t be missed when filling up. People typically spend 3-5 minutes at the pump and see these ads multiple times. To increase message frequency, some campaigns included window and cooler clings.